ADE 2017 is nearly upon us and with 5 days of non stop events you’ll begin to realize you can’t be everywhere at once. 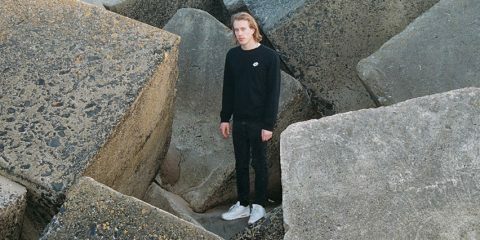 Usually we go through each day but this year we figured to gather one list of 10 events that highlight the diversity and mission of the Amsterdam Dance Event. Sure, there are all your favorite showcases guaranteed to go on throughout the week, but these 10 events are truly special in their own distinct way. 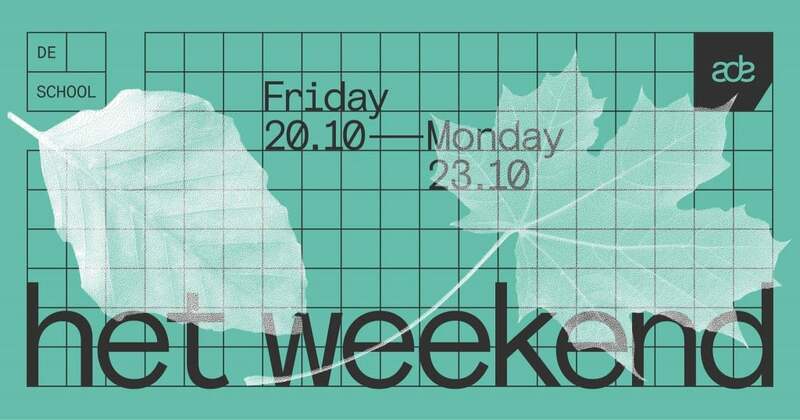 So, which ADE events are you most looking forward to? 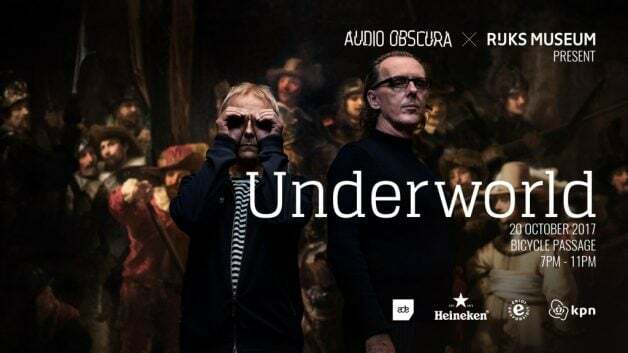 After last year’s world class event featuring Maceo Plex, Audio Obscura and Rijksmuseum once again join forces, this time bringing the one and only Underworld underneath the museum’s iconic bike passage. Hurry up and register for this one because it’s highly in demand, with a mouthwatering 3 hour live performance set to be the talk of the town. 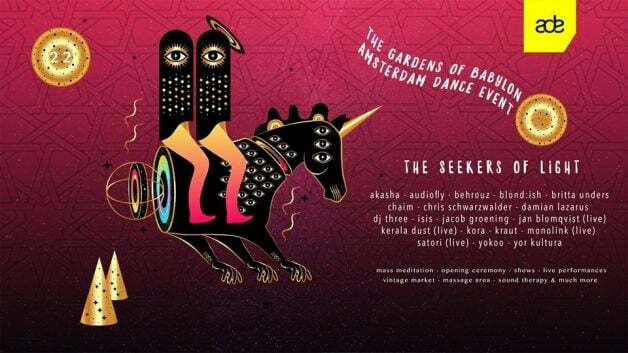 Featuring many of our favorites artists, Amsterdam’s spiritually guided House Music concept bring their biggest, most ambitious event to date with the massive Transformatorhuis takeover. 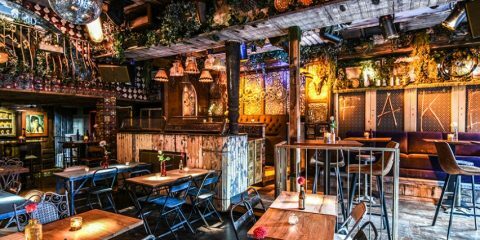 Expect artists like Audiofly, Blond:ish, Damian Lazarus, DJ Three, Satori, YokoO and many more to close down ADE in style. Not for the faint of heart, DVS1 brings his sonic explosion concept to the industrial Warehouse Elementstraat. 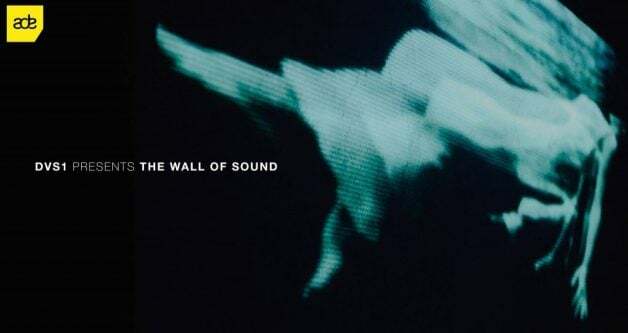 With Helena Hauff, Karenn, Oscar Mulero and two rooms of hard hitting Techno heavyweights, the wall of sound will rattle ADE’s Thursday to its core. 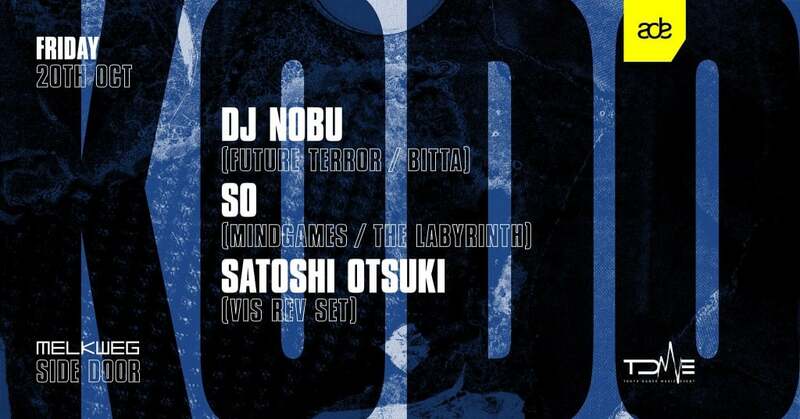 By registration only, this intimate gathering of a trio of Japan’s best selectors is brought to Amsterdam by Tokyo Dance Music Event. KODO, which means heart-beat or pulse in Japanese, and that underlying sense of life, motion and progression will characterize what unfolds there, continues ADE’s showcase on Asia with several interesting events from the continent featured. Nothing needs to be said about De School. It’s the most notorious club in the city and for good reason. 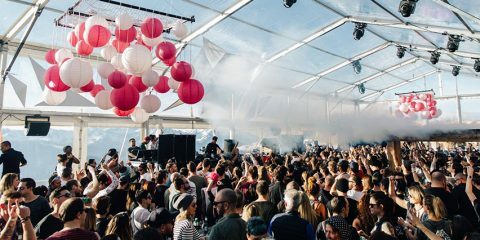 Find out why as De School goes through the weekend with a non stop music marathon featuring the likes of Aurora Halal, Avalon Emerson, Dr. Rubenstein, Job Jobse Tom Trago, Young Marco, and many more. 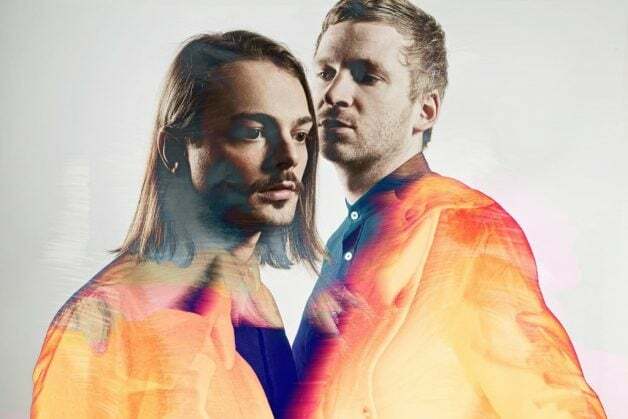 Back in the Concertgebouw, ADE brings a seated concert from Icelandic duo Kiasmos. 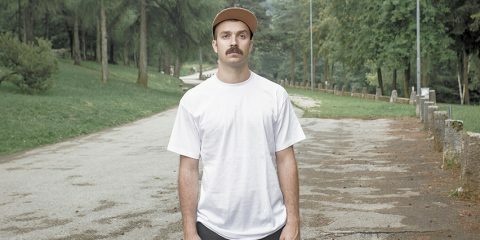 Also featuring Grandbrothers, the experimental duo bring their unique mix of minimal piano and ironing boards with electronics to the acoustics of this world class concert hall. 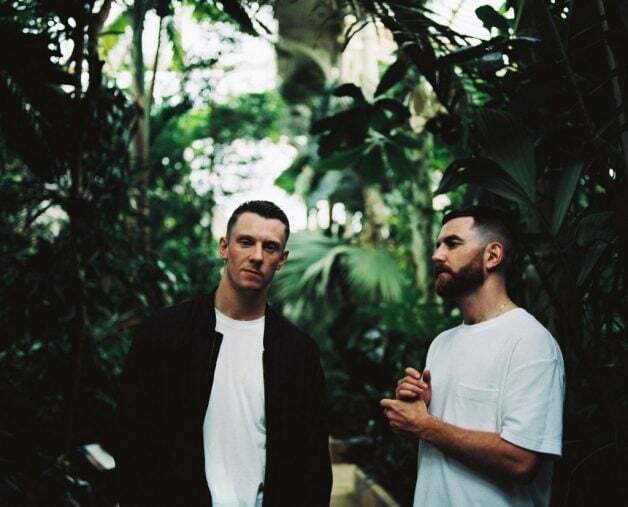 With, perhaps, the album of the year coming in the form of recently released, self titled Ninja Tune LP, the Belfast born, London duo of Bicep have brought a fresh yet retro feeling long player that spans the gamut of electronic music. This live event is already sold out but maybe there will be some last minute tickets. If so, get them as the energy of a Bicep live performance is virtually unparalleled. 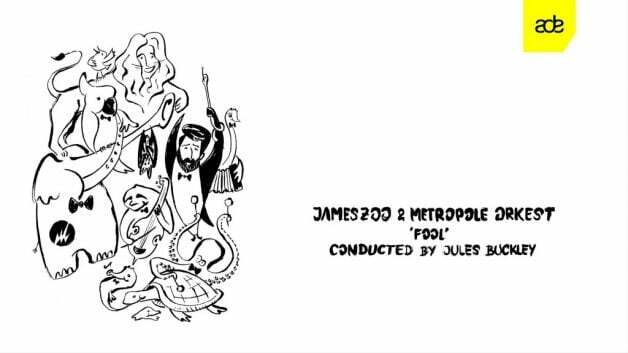 Following up on last year’s successful collaboration with Henrik Schwarz, the Metropole Orkest returns to the Melkweg on Wednesday October 18, for an evening with Dutch artist Jameszoo. 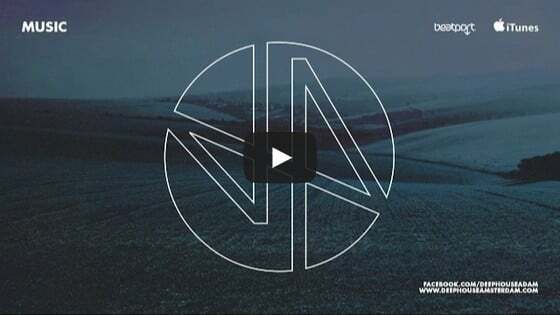 During the opening night of ADE, the artists collaborate to translate the ‘uninhabited computer jazz’ to an acoustic setting. 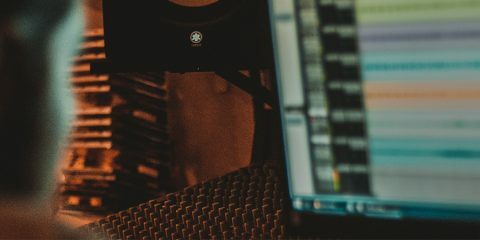 At the forefront of the underground dance scene of China is the country-touring Intro Festival along with its founder and local DJ icon, Yang Bing. 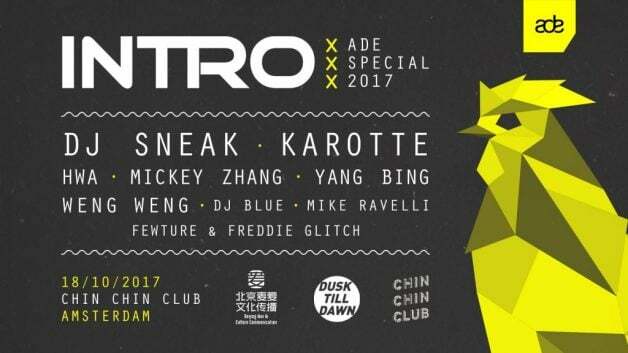 Part of a wider focus on China program, the likes of DJ Sneak and Karotte will join a slew of Chinese best including Elvis.T and Weng Weng at the newly opened Chin Chin Club.